If you feel the phrase 'Back in my day $3.99 (US) used to buy more" applys to you, you'll love this challenge. Every month in Trading Post, I'm going to jump online and bid on secondhand comics, with only the price of one modern comic in total to spend. "Heeey, Mom, can I go to Queens and fight a psycho super-villain with a bunch of pubescent super heroes?" "Of course honey..."
Having originally jumped onboard this title further down the road, I've always wanted to wrap my hands around this puppy. Thankfully it was worth the wait. 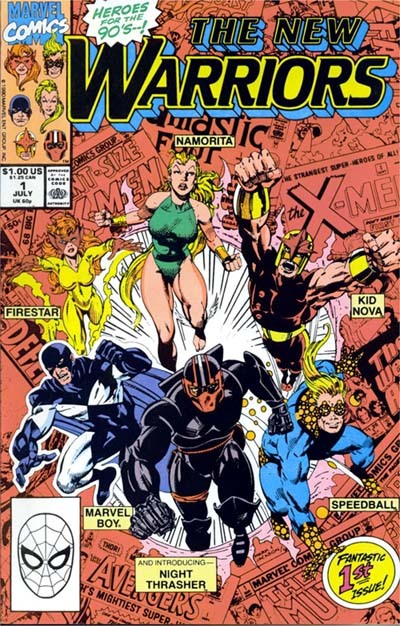 While Kid Nova suffers the most un-needed name and costume change in history, Fabian Nicieza unites six super-teens against Terrax - all in one amazingly un-rushed issue. The plot understandably jumps-around a fair bit, but is held strong by the talented pencils of a pre-Amazing Spider-Man Mark Bagley. 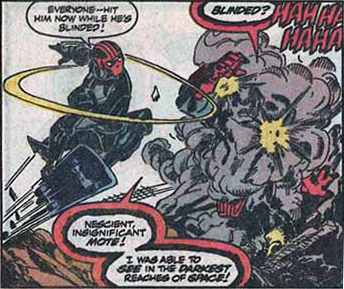 While Night Thrasher's motivations bring the cheese, Fabian's instant affinity and talent for scripting the jovial Speedball and the headstrong Namorita more than steady the ship. Where can you see rejection by the Avengers, and an armoured dude on a skateboard attacking a Herald of Galactus with smoke-bombs? "Creeps like him almost make me glad I have this curse!" 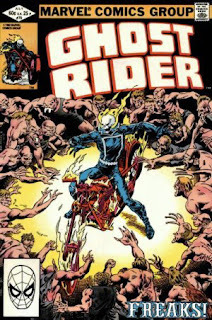 The logo, the odds, plus classic Ghost Rider and bike - yip, Marvel had me at Bob Budiansky's cover. But you I'm guessing, want details on the inside? When Jeremy, the most deformed member of the travelling circus draws the attention of sinister forces, both he and stunt-rider Johnny Blaze soon find themselves kidnapped by a legion of demonic freaks and their sinister master. But as Blaze gives into the Ghost Rider to obtain freedom, Jeremy's loyalties might not lay where they seam. Nicely done! I wonder how many more nuggets are out there waiting to mined. I remember picking up the New Warriors and the Guardians of the Galaxy both as new titles around the same time. Is that right? My memories of those days are kind of hazy, it being so long ago. But I thought that was kind of funny because wasn't Vance Astro on both teams? RN - yip you're right, both titles were round in the 90's and Vance was on both. Though it was an 'alternate reality' Vance founding the Guardians as Major Victory. Ah comics, they don't make it easy on anyone's memory creating plot twists like that, do they?